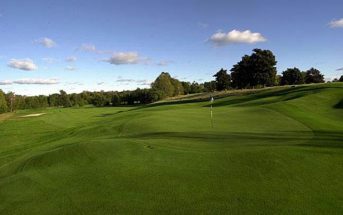 You are at:Home»News»Playing Hickory Golf! 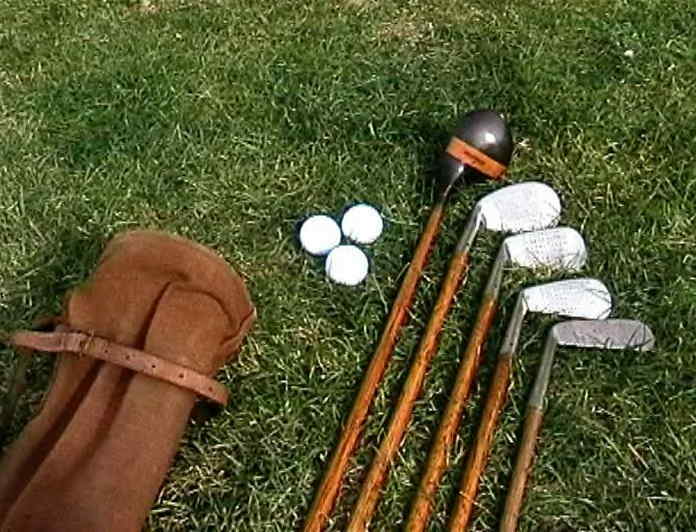 Your set of hickory clubs, “circa 1910-1920ʼs” have been carefully restored for you to play and enjoy. 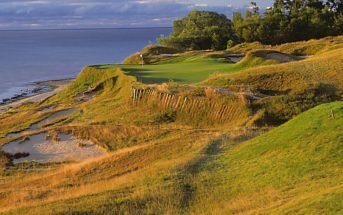 They also represent a piece of golf history and tradition, of a special game that has been played for over 400 years. 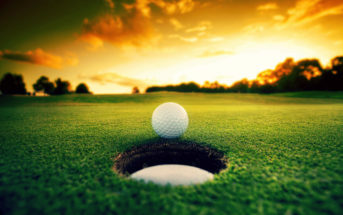 As you head to the links for some Hickory Golf, please remember that golf is a game of honor. It is a gentlemanʼs game that may be enjoyed for a lifetime and represents a privilege for each participant to play. Iron Club Maker – The iron clubs in your play set are made by one of thefinest iron makers of all time, Gibson & Andersen. Scottish cleek makers who worked during the wood shaft era, Thomas Stewart of St. Andrews was the most respected in his day. He apprenticed under Robert Whiteof St. Andrews and started his own forge in 1893. Stewartʼs famous makers mark was the Clay Pipe. His iron heads were so popular, he produced heads for others to use on their clubs, including; Tom Morris, The McEwanʼs, D. & W. Auchterlonie and Robert Forgan. One of the most famous golfers of all time used Steward iron, Robert T. Jones Jr.most commonly known as Bobby Jones, the winner of the Grand Slam. Your Hickory Shaft Irons – Each steel club-head has been removed, cleaned, epoxy and re-pinned for secure play. The hosels have been whipped with “pitch-linen” to help absorb the shock of striking the modern ball. The original grips have been replaced with period leather wrap. I suggest applying clear shoe polish occasionally. This will protect and keep them somewhat tacky. At the end of each season, I suggest applying a thin coat of shellac to the wooden shafts for moisture protection. I would be happy to assist you with this annual maintenance. Your Hickory Shaft Woods –The heads are fine persimmon and are restored for play and have been fitted with period replacement grips. Your driving club is a Brassie and may also be hit from the fairway, since it has about 13 degrees of loft. Your Bull Dog will also come in handy, since it is a very easy club to hit from the fairway or rough. Your Hickory Shaft Putter – This Brass Putter circa 1915 with cross sabers mark, trademark Felthammook is both a fine collectible and a wonderful play club. The brass head provides good club head weight and the grip has been replaced with a period leather wrap and wool listing underneath, for added size and feel. The offset, upright lie provides good line of sight while producing overspin to get the ball rolling. Your “Circa 1910” Reproduction Play Bag – This large stovepipe bag is a quality reproduction and has some extra room in the bag cover to stow a rain suit when needed. It displays well and also will serve as a great play and travel bag. break a shaft. The hickory game is one of bump and run vs. modern high-flighted shots. You will need to visualize and plan your approach to avoid trouble. The hickory shaft swing should be slow and with good tempo. It represents a sweeping arch rather than trying to muscle the shot or hit down too hard. Most players of hickory clubs state that it helps their modern club play. Probably due to the increased concentration taken to secure good contact, on a very small sweet spot and the slower-tempo swing. Practice from the bunker is important, it requires a very different technique and you will find yourself putting from the sand more often, when a “lip” is not present. Most hickory players have found that after concerted effort their hickory handicap will be about 1.6 times their modern handicap. So a modern 10 will play to about a hickory 16. Selecting the right club for the distance. Each of your clubs has been swing weighted and loft noted on a small label beneath the grip. I suggest you take a bunch of soft cover, practice balls to the range and hit each club to determine the range of distance you feel comfortable producing from each club. Then note this range of yardage on a reference card for future reference. I also suggest writing down the modern club number on each iron that produces the same distance. This way you will have an easy way to determine which club to select for each yardage you are faced with. It will also indicate if you have need to use a particular club for in-between yardage needs. Maintenance and repair – Each shaft has been coated with shellac to help prevent moisture from doing damage. Each year your shafts should be reconditioned. Along the way you may break a shaft, this happens to all hickory players. Please feel welcome to contact me if this occurs and I will assist with the repair. Typically a new shaft costs approximately $50 to replace. Another period shaft is fitted, since the hickory wood of today is much different than the old, slow-growth hickory of yesteryear. In fact that is why the steel shaft was invented, the supply of old hickory for shafts was becoming hard to get in the late 1920ʼs and early 30ʼs. And 1935 marked the end of the hickory shaft era. Note – Each shaft in your play set has been tested for use. However, sometimes dry rot is hard to detect and since these clubs are over 80 years old, a cracked shaft during play may occur. Please do not store your hickory clubs in your car trunk in the summer. The heat will be harmful to their condition. The iron heads are steel, so rust may occur. So, it does not hurt to rub them down with oil occasionally to condition their surface. The woods may also be reconditioned each year, to keep them looking great. This is best accomplished with a little wood refinishing that can be done at home. Please feel welcome to contact me if you have any questions regarding your play set and if you need any assistance for reconditioning or repair. Not to mention, Iʼm usually available for a good round of hickory play. I hope you enjoy your hickory play set and they serve you well for many years to come. 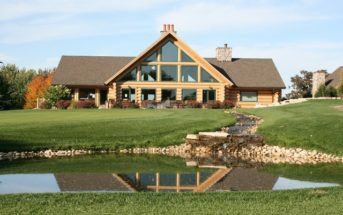 In addition, hickory play may open up a whole new approach to your game and broaden your understanding of the history and tradition, the game was built upon. Enjoy! 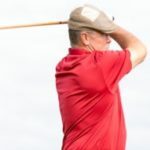 Bill "Ernie" Ernst is a Society of Hickory Golfers Board member and a coordinator of the Wisconsin Hickory Golfers.